Being back in Texas, a place where my family has lived for quite some time now, is a bit of a culture shock. Everything *does* seem bigger in Texas – straight from the cars to the belt buckets. Food portions also fit in this category. It’s been a little crazy. It hasn’t been so easy finding good places to eat so far. Houston has a lot of chain restaurants. A lot. And as I’ve asked for restaurant recommendations from the locals, I keep hearing that Carrabba’s is great or have I tried the new Cheesecake Factory. I can’t get away from chain restaurants! I’m trying to take it with a grain of salt but I’m pushing back. I want something unique, something good and something purely Houston. I will admit I expected a Mexican joint. But what I wasn’t expecting was a recommendation based on George Bush’s favorite Mexican joint. And that would be Chuy’s. Which, for the record, is a chain – at least it is now. 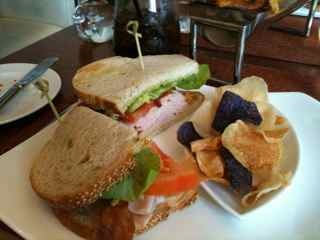 But the original location is located in Upper Kirby, near the upscale River Oaks neighborhood. And despite it’s high end digs, it remains as casual and comfy as ever. Come early if you want to get a table (or a parking space – the CVS next door will tow if you aren’t careful). 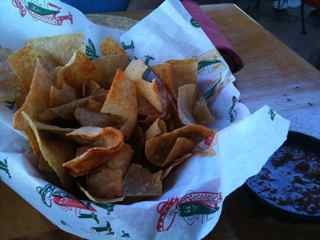 Then make sure to grab yourself a signature margarita and some chips (with the yummy creamy jalapeno sauce, natch) once seated. It will help sate your growling belly as you peruse the menu. And though ol’ George might not have been my favorite President, he sure does know good Mexican food. You’ll still find the best in a corner taco truck but Chuy’s can definitely compete. Fajitas, enchiladas, tacos – pick your favorite, sit back and enjoy. Photo courtesy of Kayt Sukel. The Claremont is a landmark destination for Bay Area locals and visitors alike. I’ve been hanging out here since my youth. This August until September 6, the Claremont Hotel and Spa is offering the perfect retreat with their Beat the Heat package. 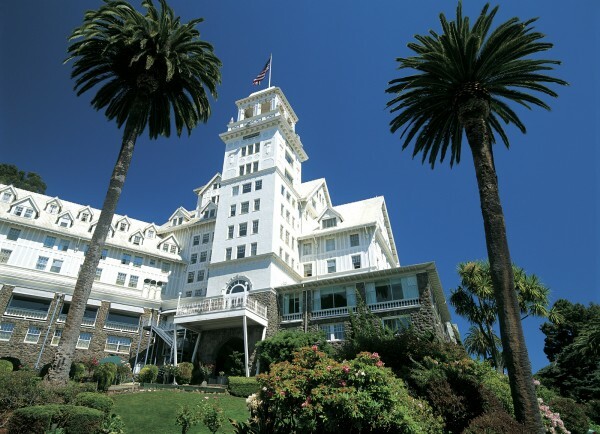 For nearly a century, discriminating travelers have made this hotel one of the Bay Area’s most celebrated destinations. Perched on a Berkeley hillside, overlooking San Francisco and the Golden Gate Bridge, the Claremont offers the ultimate retreat. For families, the Claremont is also offering the Family Fun in the Sun package. 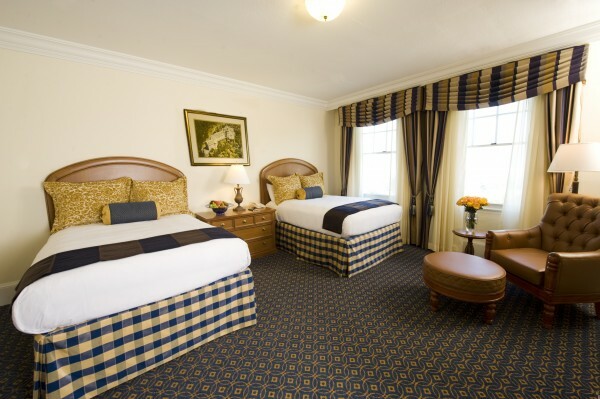 With rates as low as $299.00 (a value of $550.00) per night starting now through September 6. Article written by Travel Writer Nancy D. Brown of What a Trip. Photos courtesy of Claremont Hotel and Spa. 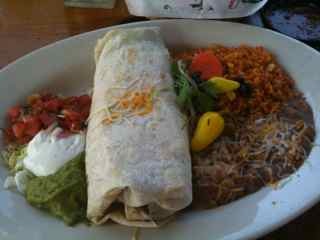 I’ve never quite figured out what creates the charm at Casa de Reyes in San Diego’s Old Town, but the first time we ever ate there, my husband loved it so much, we went back the next day. The friends we were vacationing with went elsewhere for that repeat meal. I know the next time I had business in the city, I went there to take a photo of my meal, email it to him (yes, this was in the olden days, before smartphones and instant Facebook uploads) and gloat a little bit about being there. It became a habit. I’ve purchased birthday gifts for friends in the shops surrounding Casa de Reyes while waiting on my beeper to buzz, and listened to bands in the entertainment shell in that section of the state park. But no matter when I arrived, they’ve never had a table available, even though I was just one. Then that particular client’s parent company filed bankruptcy, shut down my magazine column gig, and I no longer spent Februarys hiding in Southern California’s warmer rays. When my husband mentioned he wanted to take part of our vacation time in the area to see the San Diego Zoo, I truly thought he had a hankering to see the panda bears. Until he casually mentioned maybe we could do dinner in that restaurant in Old Town … you know, the one in the corner. And for a second, I just stared at him blankly. We couldn’t even remember the name, but GPSs are excellent for directing you to Old Town, and once there it was a snap to recall the drill of where to park the car and how to wind my way over to Casa de Reyes. Although it wasn’t yet 4:30, they had the ubiquitous line at the hostess counter, and a sea of tables packed with diners. Still, we were lucky. Our wait would be only 20 minutes, which wasn’t enough time to pick out and purchase hot sauce in the shops surrounding the courtyard. The last time I ate here (and my records show that was 2007) I hadn’t discovered the joys of guacamole, so I couldn’t wait to try that — especially given the awesome avocado I’d had at Charlie Palmer the day before. And since it may be another 3+ years before I return, I decided I shouldn’t pass up my usual burrito; my husband used that same logic to order steak fajitas and a margarita. Then we proceed to wait, and munch on seasoned chips (another touch I would swear they’ve added, as I liked the chips before and these … well, not so much.) And wait, and talk to the people at the table next to us. And wait, and run around taking photos. The guacamole appetizer never did make an appearance either on my table or my bill. Neither did a drink refill. In fact, it wasn’t even our waiter who brought our meals — which were everything my husband and I remembered. He labeled it the best fajita meat he’d ever had, and he even liked the beans. Yah, let that soak in for a second. The man ate his refried beans instead of pushing them off on my plate. Must have been one powerful margarita to affect a 250-pound man that quickly. As we walked around the shops after dinner, trying to walk off some of that “I ate too much again” feeling, we glanced at the menu at El Fandango Restaurant, a Mexican restaurant next door. They had very interesting dishes, but no line and few occupied tables. It appeared those diners were getting very attentive service. I mentioned next time we are in the area, we should try them instead. Spread the economic love and our taste buds at the same time. But I doubt that happens, because when you’re a tourist, you take every deja vu you can get. Where the heck is Copperopolis? 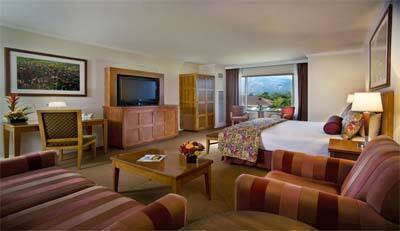 Saddle Creek Resort is a short two hour drive from the San Francisco Bay Area. 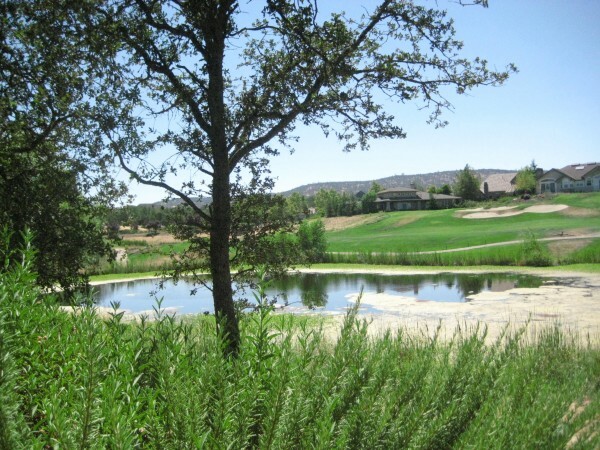 The California Sierra foothills are an outdoor lovers dream, with golf, tennis and swimming on property and horseback riding minutes away. Boating enthusiasts will want to check out Lake Tulloch. The one and two bedroom bungalows will appeal to men on golfing “mancations” as golf course access is on property. 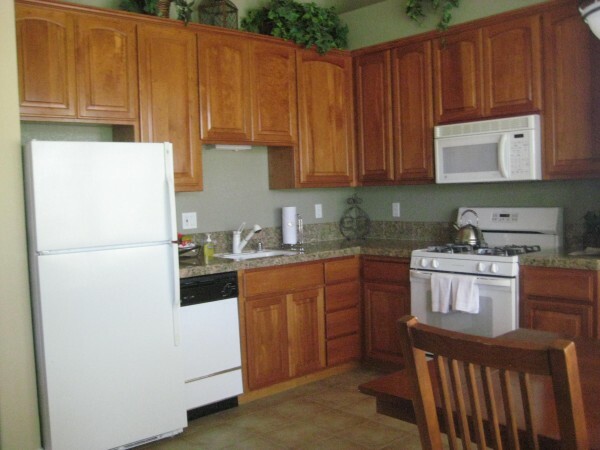 While the men may not notice (speaking on behalf of my husband), ladies will appreciate the earth tone decor, granite counter tops and family-friendly kitchen. We both noticed and appreciated the central air conditioning! Folks on a working vacation will appreciate the complimentary internet access. 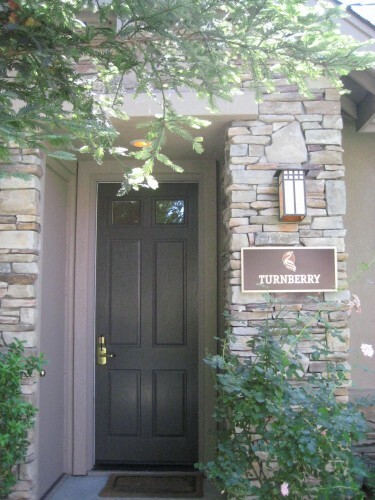 My Turnberry suite rented for $240 in the high season with lower rates available in the off season (November 1 – March 31.) This one bedroom bungalow offered a view of the water and was situated off the first fairway. All bungalows are two bedroom, with the option to close off the second bedroom for a lower rate. 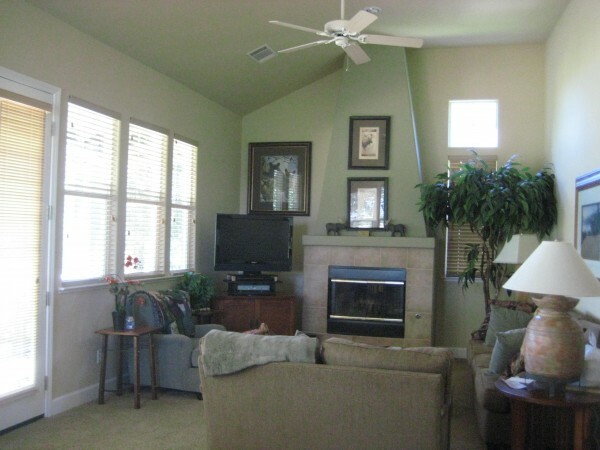 The seventeen bungalows are all handicap accessible and smoke free – sorry – no pets allowed. After a day of golfing, boating, panning for gold or horseback riding, try wine tasting in nearby Murphys. Located 30 miles east of Copperopolis on Highway 4, Murphys offers 21 wineries. Article written by and photos courtesy of Travel Writer Nancy D. Brown of What a Trip. I was a guest of Saddle Creek Resort. One thing I’ve noticed about Southern California casino resorts is that they tend to be isolated. Not just from other casinos, but even from other towns and attractions. 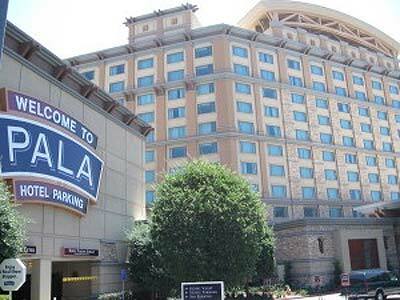 That holds true for the Pala Casino Resort and Spa in Pala, California. Just south of Temecula’s wine country, off the I-15, is where you’ll find the Pala. While less than 2 hours from both Los Angeles and San Diego, you’ll really want to book a room and stay the night. I stayed in a deluxe petite suite, which is one step up from the basic deluxe room. It featured a king bed, 42″ flat screen TV, dual vanity sinks and a Jacuzzi bathtub with separate shower. The view out of my window was the pool area and the back of the resort. There are ten restaurants on property. 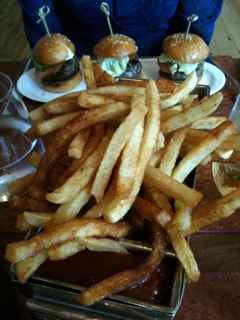 I chose to eat dinner at The Oak Room, the resort’s steakhouse. Surprisingly, the restaurant was not busy at all, even though it was around 8 p.m. I was shown to a table in one of the alcoves, where it was just me and several empty tables. I had the three onion soup with gruyere grilled cheese sandwich as an appetizer, followed by a steak and trio of mashed potato side dish. Everything hit the spot – even the steak was done exactly to order. The resort has several events theaters, but sadly nothing was scheduled for any of them the night I stayed. Weekends, however, the resort usually has either live music or nationally-known comedians performing. The next morning I had a massage and facial booked at the award-winning onsite spa. I started with the Wellness Massage, which incorporated aromatherapy, and the therapist managed to work out several shoulder knots I had. I then had a 25-minute Refresher Facial, which basically was a deep cleansing with a brief massage. I was really happy with my spa experience. I had planned to gamble a bit after the spa, but I felt so relaxed, I just went upstairs and napped until it was time to check out. One thing I really liked about the Pala resort was that, with the exception of the restaurants, one didn’t have to go near the smoky casino to enjoy the amenities of the resort. And for those that do like to gamble, the casino had the major table games, as well as plenty of slot machines. 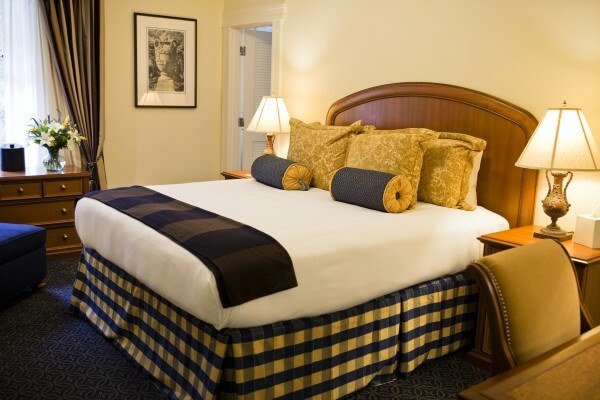 Average rates start arount $119 during weeknights for a deluxe room. Expect to pay about twice that or more on weekends. Check the website for spa specials and other promotions. The best way to view Chattanooga’sTennessee River is to float along it and the best water transportation by far is the Southern Belle Riverboat. 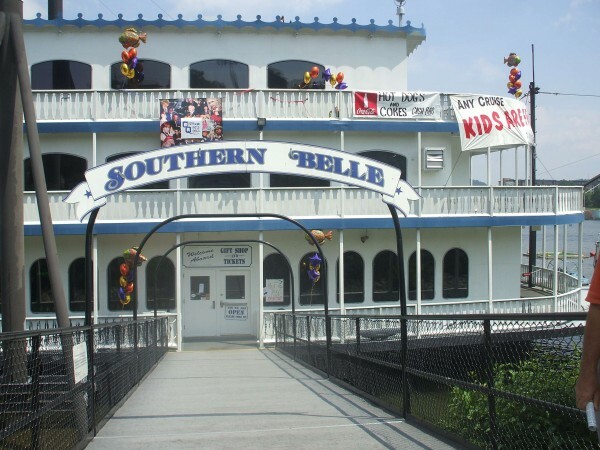 A classically constructed riverboat that would make Tom Sawyer proud, the Southern Belle is a 500-passenger, climate controlled, double decker boat that travels from downtown Chattanooga and along the winding Tennessee River. The 1 1/2 hour cruise features meals and lively narration about Chattanooga history. The boat hosts lunch, dinner and moonlight cruises accented with lively history about Confederate and Union armies and Lookout Mountain. Meals include classic Chattanooga moon pies for dessert as well as a buffet of sandwiches, chips and potato salad. The Southern Belle also boasts a calliope that entertains passengers with rollicking tunes. You can stroll between decks or stay seated to enjoy lovely views of the river. 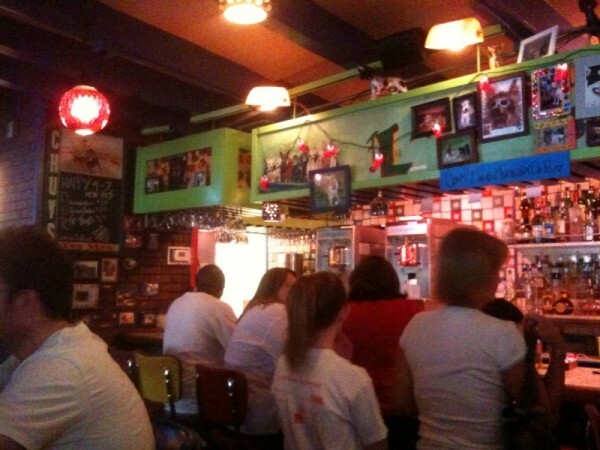 For heartier Chattanooga fare, head to Hillbilly Willys Bar B Q for a kitschy Tennessee experience. Step into this quaint shack and choose from full or half slabs of ribs, chicken or beef, barbecued in the tangy Memphis style. There’s also a selection of burgers and other sandwiches but I recommend sticking with the barbecue, with a sides of mac n’ cheese, cole slaw and corn on the cob for the most authentic, lick your fingers, dishes. New York City is chock full of hotel options, but I have no doubt the soon-to-be-open W New York – Downtown will stand out. W Hotels are known for their stylish luxury and this new location is no different. Located minutes from the New York Stock Exchange and 1 World Trade Center, in the city’s Financial District, the W New York – Downtown is set to open August 16, 2010. All rooms will feature the Signature W bed with goose down comforters and pillows, flat screen TVs, iPod docking stations, and Bliss Spa products in the bathroom. High speed internet access is available for $14.95/day and the hotel is pet-friendly. 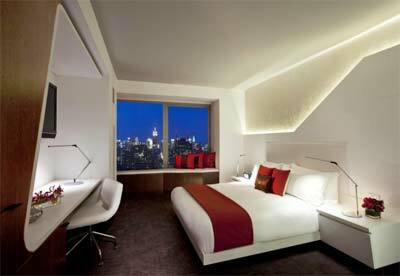 To celebrate the opening, the hotel is offering a special package called, Who Puts the W in Wall Street? 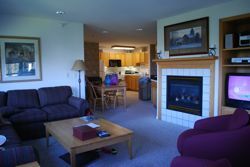 The package starts at $399 on weekends and $529 on week nights, is valid for stays from August 16 to October 11, 2010, and requires a two-night stay. It can be booked online or by phone at 866-961-2860. Use promo code WGO. A teen center…. and much more. 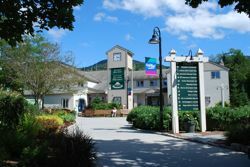 We stayed at Smugglers’ Notch for three nights, in a two-bedroom condo. The condo includes a washer/dryer, full kitchen, master bedroom with master bath, balcony, second bathroom, and second bedroom. While furnishings can vary, our room had a king bed, double bed, two twin beds, and a pull-out couch. For meals, the onsite restaurants are good, especially the independently owned Hearth and Candle. Smuggs also offers some special kid-friendly meals. We attended the Friendly Pirate Breakfast, where Rockin’ Ron, Smuggs’ very own pirate, sings songs, tells jokes, and entertains the kids. My two kids absolutely loved it, and couldn’t stop singing the songs well after breakfast was over. My kids (ages 5 & 4) attended day camp on two days. The camp runs from 10am-4pm daily, and lunch can be brought or purchased separately. We knew that my daughter would love the camp, but weren’t sure about my 4-year old son. When we picked him up, he was bouncing in excitement to let us know what he’d done for the day. And, on our last day, my 5-year old daughter cried because she wasn’t able to attend camp that day. If your kids are too little for camp, Smuggs also offers Treasures, an onsite, million-dollar mountainside daycare. In-room childcare can also be provided, if you’d prefer. On Saturday, while the kids were in camp, my husband and I headed out to the nearby Green River Canoes for a Smuggs excursion trip – the Water and Wine Canoe trip. Our group all chose kayaks, and we paddled down the river for about an hour and a half before reaching the local Boyden Valley Winery. We were treated to bread and cheese, as well as a tasting of the wineries’ delicious wines. It was truly a fabulous afternoon. We had a great trip, and my kids are already getting ready for next year! Disclosure: Smuggs provided us with a three-night Family Fest Vacation Package, and a complimentary Water & Wine Kayak trip. I think it’s obvious by now that I don’t do fru-fru. 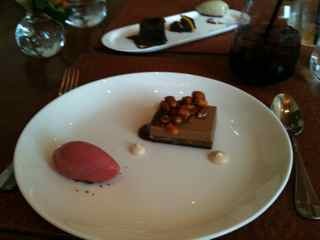 An upscale restaurant, expensive for the sheer fact that it can be expensive, is the last place you’ll find me. I’m currently in southern California on vacation, and since we were flying into SNA where I have a journalism friend, I came in early enough to meet her for lunch at a restaurant of her choice. She suggested Charlie Palmer — attached to Bloomingdale’s at South Coast Plaza if you need any first-impression fodder — because it was close to the Fox Car Rental and not terribly far from my hotel. For this gal, who thinks Orange County is synonymous with Disneyland, that was very welcome. Until my flights were late, and my husband and I switched bags to take at the last minute and I wound up without toiletries — no toothpaste to freshen up, no hair brush, no lip gloss. I was so tired from two consecutive nights of 3 hours of sleep, I thought I’d dropped my rental keys in the parking lot. After 15 minutes of frantic searching, the gal informed me they always keep the keys in the cars, dear. Look in the ignition. I arrived at Charlie Palmer with dirt all over my white capris and wearing white tennis shoes, aka arrows pointing to me saying: Gauche tourist here. Hand to God, swear. He said that unprompted and verbatim. Considering it was past 3 pm in my normal time zone and all I’d eaten to that point was a package of Nabisco cinnamon crackers and a few sips of Coke, I wolfed it all down as if I were one of those waifs in the “please sponsor me” commercials. Or my dog with his nose in the dish when we’ve changed his dry dog food. I’m sure the other diners showed proper table etiquette and ate with a nod toward good digestion habits. But since Charlie Palmer let me in to start with, he’s my kind of guy and this is my kind of place. 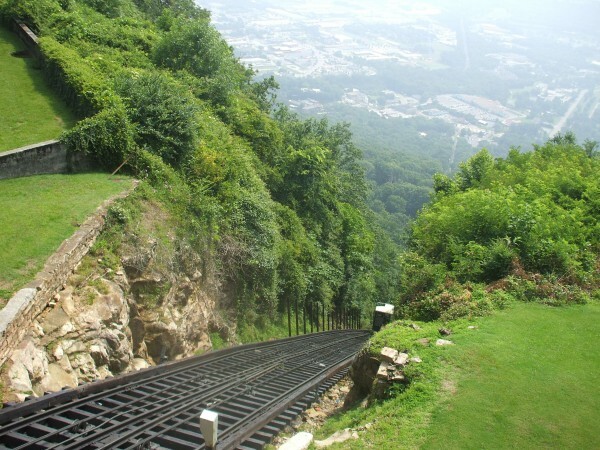 For over a century, visitors have flocked to Chattanooga to ride the historic Incline Railway, which climbs Lookout Mountain on a really steep, mile-long journey. Known as the steepest passenger railway in the world, the Incline Railway has been designated a National Historic Site as well as a National Historic Mechanical Engineering Landmark. Since 1895, the panoramic views of surrounding mountains and valleys has been the major appeal of the railway. The trolley-style rail cars carry passengers as high as clouds, with scenic views that can offer a glimpse of the Great Smoky Mountains 100 miles away. Even though the climb is very steep, the ride isn’t scary or stomach-churning at all. I was able to gaze at the gorgeous views without worrying about jolts or sudden dips. The train travels at a little under 10 mph and the round trip lasts about 20 minutes. There’s also an observation deck and gift shop to supply more activities. After touring the Incline Railway, stop by another historic Chattanooga spot, the Chattanooga Bakery Company, home of the Moon Pie. A classic Southern snack, moon pies were created in 1910 to supply a big, filling treat for coal miners who often didn’t have time for lunch. The generous graham crackers, marshmallow filling covered in chocolate often accompanied by RC Cola, became a such a Southern hallmark that songs have been written about it. Visit the bakery for samples of traditional flavors as well as new ones like chocolate mint and orange.